HDFC Equity Fund was launched in the year 1995, is an open-ended scheme. It has an AUM of Rs 20,352 Cr as on Jun 30, 2018, with an expense ratio of 1.96%. The average market capitalisation of the fund is Rs 103,448.49 Cr as on July 31, 2018. This capital is invested 68% in giant companies, 15% in large-cap companies, 12% in mid-cap and 5% in small-cap companies. The fund comprises of 49 companies of different sectors, which significantly includes financial and banking, energy, technology, construction, engineering, metals, healthcare industry, etc. The top companies where HDFC Equity Fund is investing in State Bank of India, Infosys, ICICI Bank, Larsen & Toubro and Reliance Industries. 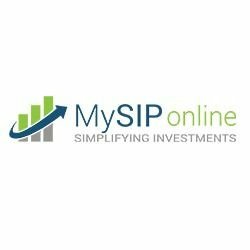 This portfolio holding is last updated by financial analysts of MySIPonline on June 30, 2018. The fund has one of the largest AUMs in its category but has shown stumbled performance in the past few years. The cumulative returns of the fund since its launch was 19.22%. It has also generated the negative alpha in the past three years of -3.25% as provided on June 30, 2018. The compounded returns of the fund for the past three, five and seven years were 10.26%, 20.09% and 12.50%, respectively. These returns were underperforming for all these years from its benchmark, NIFTY 500 as well as category average. The annualised returns of the fund were highest in the year 2009 with 105.57%. The annualised returns of the fund for further years were 53.77% in 2014, -5.09% in 2015, 7.26% in 2016 and 36.86% in 2017. HDFC Equity Fund growth has been managed by Mr Prashant Jain, while Mr Rakesh Vyas assist him by looking after the overseas investments of the fund. Mr Jain is working as Chief Investment Officer and Executive Director at HDFC Mutual Fund. He has an overall experience of 27 years in fund management, equity research and analysis. The fund has seen certain blips in the past year under his convictions and supervision. He combines top-down and bottom-up approach to select various companies from the market. He follows the intrinsic research by selecting the companies on the basis of its robust business model, strong balance sheet and long-term growth. However, being a multi-cap category fund, he is biased towards the large-caps, providing fund better returns with a long-term perspective. The NAV of HDFC Equity Fund G is Rs 633.238 as on July 31, 2018. It is suitable for the investors who have an appetite of tolerating a moderately high-risk. You can invest in the fund via SIP and lumpsum mode. The minimum initial amount of investment must be of Rs 5,000. The minimum SIP amount of Rs 500 on a monthly basis.